The Upper Lamoille is the only watershed in Caledonia County that flows west to Lake Champlain. 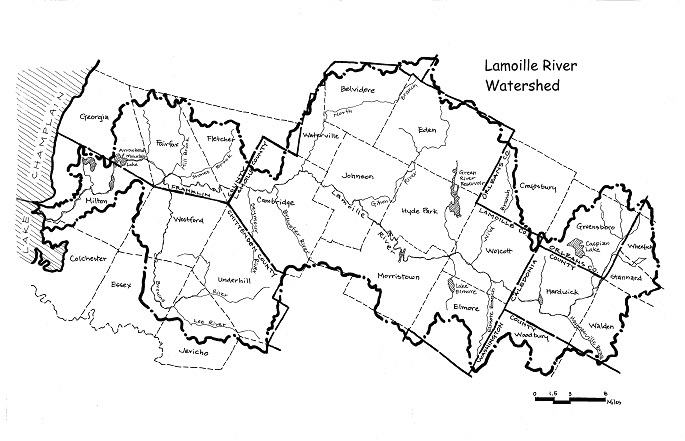 The Lamoille headwaters are located in the town of Greensboro and in Caledonia County includes the town of Hardwick and parts of Wheelock, Stannard and Walden. The issues encompassing this watershed are largely focused on sediment loading, stormwater, infrastructure (bridges and culverts) and the successful conveyance of ice, debris and water through the village of Hardwick.